Today’s guest post is a brilliant guide for anyone wanting to start interior designing, or decorating their home. 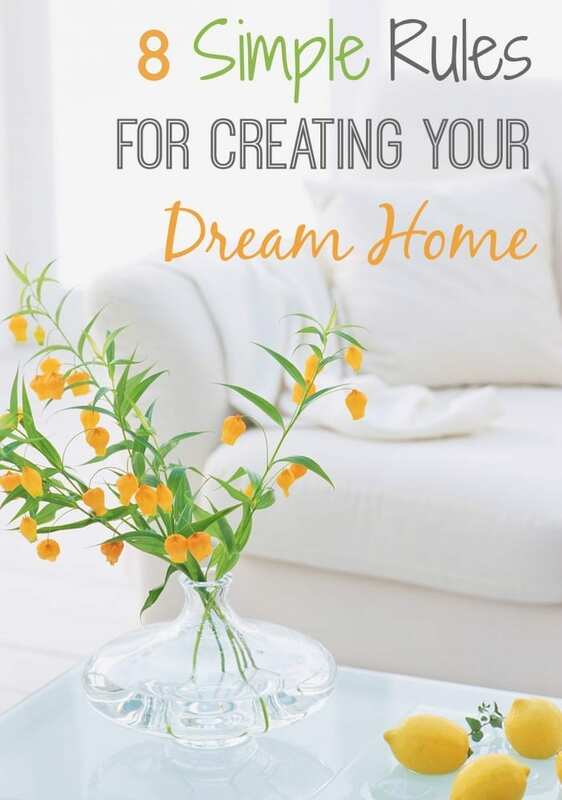 Learn how to create your dream home in 8 easy steps. Enjoy! Whether you’ve just moved in to a new home or if you’re simply looking to breathe new life into tired décor, gaining inspiration for a home makeover isn’t difficult. Once you hit the internet you are confronted with a seemingly endless supply of advice on what to do to achieve your dream design or how to incorporate the latest trends into your home. While it’s a joy to be able to discover one hundred and one different styles at the click of a button, it can also be a little bit overwhelming. To make things simple, we’ve come up with eight top tips to help you get started with your home makeover. So you want to change up your living room or maybe your bedroom; whichever space you’re looking to redesign, it’s important to have at least a vague idea of the sort of style you want to reproduce before you hit the shops and start parting with your cash. Creating a mood board is an excellent way of testing out different design styles and establishing which will work best in your home. It’s also a lot of fun! You can create a collage of all the things you love using cuttings from design magazines or. alternatively, Pinterest allows you to save images you find on the internet and pin them all to a virtual board, so you can access all the designs which inspire you at any time. This is especially handy when shopping for home furniture or accessories. There is nothing worse than investing in a signature piece, such as a new bed, sofa or dining table, only to find that your purchase just doesn’t fit the room. If a piece is too small then it can make the room look sparse and unfinished, if too big then the piece can ‘take over’ and dwarf the room. Always take into account the measurements of furniture and match them up to the dimensions of your room to ensure balance. Good lighting will enhance a room and create an inviting atmosphere. First, assess how much natural light the room allows for. If the room is very bright, you may want to focus on shading. If the room is dark, think of the different areas you wish to accentuate. Where will light be of most use? A floor or table lamp placed next to a sofa will provide a soft light perfect for reading, for example. Large mirrors, when carefully placed, can create the illusion of space in small rooms. A grouping of small mirrors can achieve the same effect, while also creating a focal point for the room. Mirrors will also reflect light, brightening a room. Try placing a candle near a mirror – it creates a gorgeous glow. When redecorating, consider how much storage will be needed. A cluttered room will detract from the overall style, most especially if you want to achieve a minimalist look. The Home Furniture Store offers a wide selection of really useful storage options which will suit a variety of different interiors. Don’t stick too rigidly to your chosen colour scheme and don’t be afraid to mix and match furniture. Balance is key when it comes to interior design, so if you find yourself unable to decide between two different styles of lampshade, go with both! As long as both designs tie in with another key feature within the room in some way, your choices will balance. A great way of changing small details within a room is to accessorise in keeping with the season. In spring, brighten up a room with fresh daffodils or tulips. Holly and ivy serves as a great festive addition to a home during winter too. Interior design isn’t just about how a room looks, it’s also about how the room feels. When buying a new sofa, for example, you don’t just consider the design, you think about how it feels to use; how comfortable it is. This should extend to the whole room. For example, if you’ve decided to decorate using a Moroccan theme, then buy some candles with a rich, aromatic scent. It’ll bring the room to life. It’s much the same as selecting music to set the mood at a dinner party. If you can add something extra to your room which appeals to more than just the eye, always jump at the chance. After all, your home is not simply a show room; it’s there to be experienced. Previous Post Have You Ever Purchased Double Glazing?